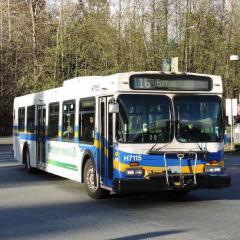 As I understand it, there is a plan in place to rectify the stop request light issue on the Flyers and 2007-2009 Novas. Darts that have an old Balios/Pocatec ODK still have to have signs changed manually. If it has a newer Axion installed, Nextride will change it. 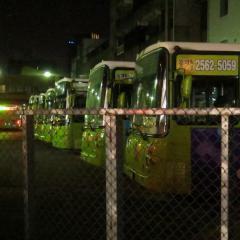 Many of the Darts had their old ODK swapped out for a new one when they received Nextride so that the headsigns will change automatically like the rest of the fleet. An update to yours, there are still 2 Novas yet to receive Nextride. Nearly half of the Flyers and Arbocs are also complete. Installation on Vicinity buses began this week. Using methods of deduction, you guys could confirm your speculations as true by reading literally one post above yours. 0228 from Williams Lake to Victoria. Probably where 9066 has gone. So who changed my wiki edits to say that 9070, 9078, and 9753 are Unallocated? I purposely left their locations blank as the Darts have clearly been redeployed elsewhere, but didn't want to say where until it had been confirmed, and 9753 also has a good chance of being in service in another system. If I broke some wiki convention by leaving it blank, it would be wiser to use "Unknown" or something along those lines. Saying those vehicles are unallocated is incorrect information, plain and simple. By that same token, someone changed 0104, 0105, 0227, and 0236 location to Victoria. As of yesterday, all those vehicles still had no plates and are not in service. Even though it is basically a guarantee that these vehicles will eventually enter service in Victoria, I was under the impression the wiki was not to be changed until they were confirmed in service at a new location. 9066 has been deplated and presumably another northern Dart will arrive in the coming days. I'm going to take time off of keeping the wiki up to date...this is not the first time I've had my edits replaced with incorrect information. It's rather irritating. 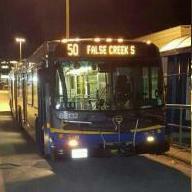 0104 and 0227 moved from Williams Lake to Victoria Perhaps this is where 9070 and 9078 have migrated to. 9753 has also left Victoria. Possibly 9479 as well. No recent sign of 8104 either. 9070 and 9078 have been deplated. I am guessing this is part of the rumoured Dart swap that will make it easier for some of the tired Darts up north to make life. Also noticed 8104 and 9755 absent from Victoria's list, so they *may* have moved. It's not unheard of for a bus to be removed temporarily while down in the shop or assigned to training so nothing confirmed yet. Spotted 9044 back on property after refit. Arbocs 2414, 2416, and 2417 are gone. External camera installation now also encompasses 2014-15 Novas. 0105, 0106 and 0236 have arrived from Prince George. Still waiting to see what was sent to them in return. 0103 (contingency) and 9947 have also been on property recently but I am unsure right now what the plan for those 2 is. Victoria-based 2009 Novas that have security cameras operational are now having external side-mounted cameras installed (previously only 9434-9446 had this feature). My understanding is that CCTV is included as part of the Smart Bus program that received funding in recent government announcements, so stay tuned to see how this project progresses.